The Two of Swords in the Rider/Waite/Smith deck shows a woman sitting on a stone bench, facing away from the sea. She is holding two swords crossed over her chest and she is blindfolded. This card is about making choices or choosing not to. The Two can suggest procrastination and indecision or an unwillingness to make a decision based on a fear of making the wrong choice. 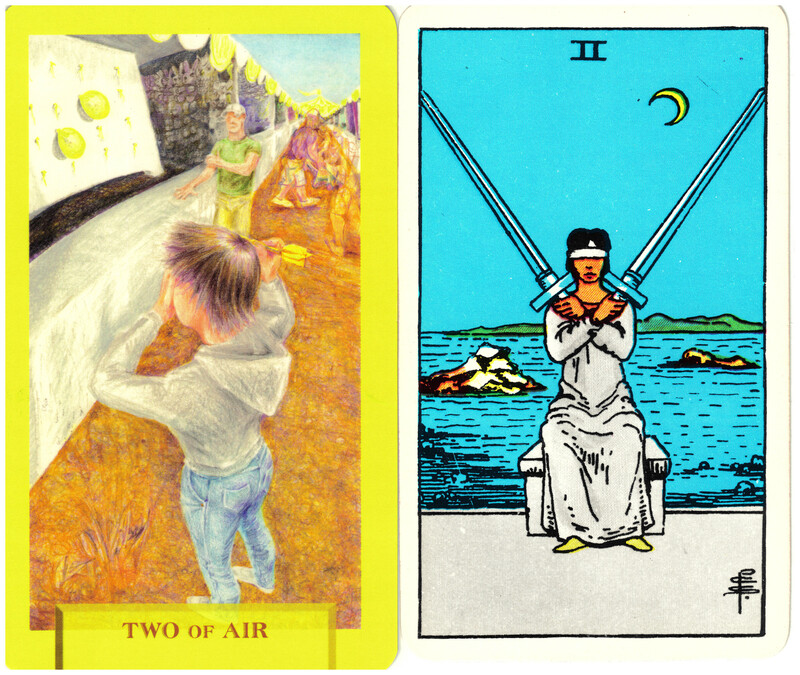 The Two of Air in Today’s Journey Tarot modernizes this idea at a carnival. The girl is playing a balloon and dart game with only two balloons left, but she covers her eyes rather than aim at the target. She is reluctant to take responsibility for her choice.